In 2014, the City of Richmond entered into a contract with Resource International, Ltd to conduct a solid waste characterization study. The purpose of the study was to assist the Department of Public works in assessing the effectiveness of its curbside recycling program operated in coordination with the Central Virginia Waste Management Authority. One of the goals was to determine how much recyclable materials remained in the waste stream after in-home separation. The study included three (3) separate and distinct neighborhoods representing diverse cultural and economic characteristics. The study indicated that curbside collection was extremely effective in recovering recycle materials from the waste stream averaging only 4% of the waste for the neighborhoods studied. The study also demonstrated the effectiveness of 95 gallon recycle carts in increasing the quantity of materials collected by as much as 30%. Resource worked with the Public Works department and the CVWMA in identify collection routes for curbside waste and recycle collection and matched those to selected neighborhoods. Resource reconciled the data base of the City and regional agency with information provided by Tidewater Fibers Corporation. Resource then worked with the Department of Public Works selection specific collection routes and collection days which would be the basis for Quarterly sampling events. On each study day a specific collection vehicle was directed to the separation area at the Hopkins Road Transfer Station. 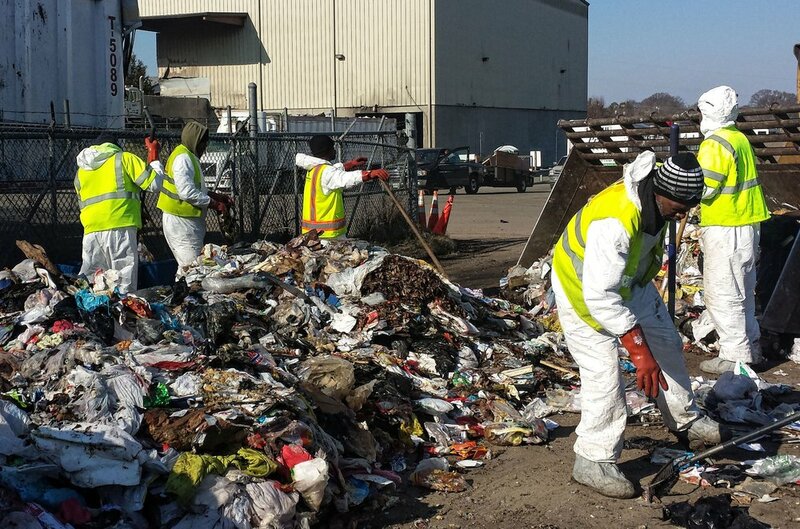 Separation crews provided by GTT Enterprises were trained and supervised by Resource and hand separated recyclables that included mixed paper, cardboard, metals, plastic and glass. Visual estimates of yard waste left in the residual waste was also made. Waste materials were weighted and compared to the total waste load in the truck that was weighed at the Transfer Station. The study concluded that Richmond residential recycling was effective, leaving only 4% of waste stream going to disposal as potential recyclables. 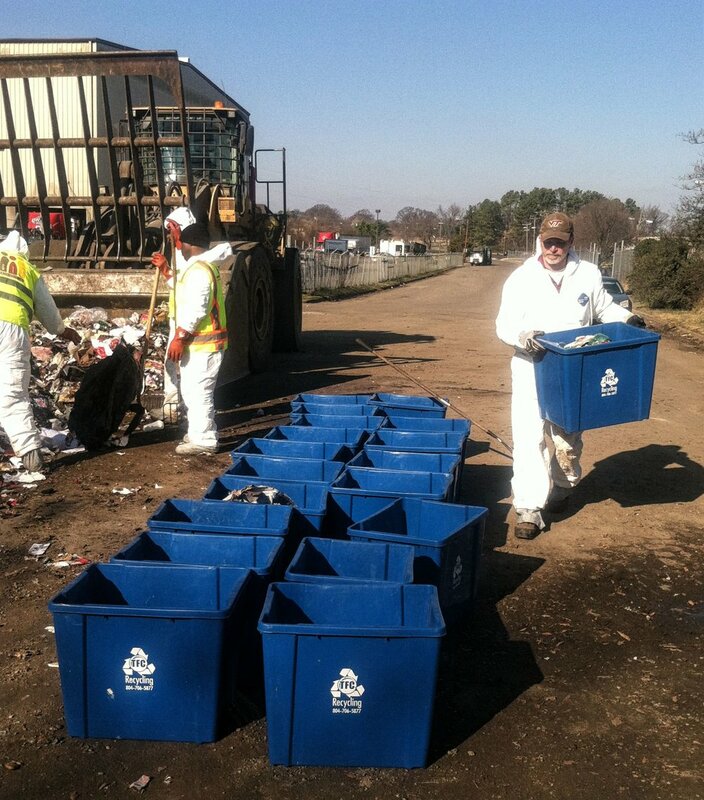 The implementation of new 95 gallon recycle carts mid study improved the recycling by approximately 40%. Yard waste was observed to be a appropriate target for additional source separation making up anywhere from 7 to 50% of collected waste load. A study was proposed to determine the net cost savings if separate yard waste collection was implemented to reduce the total of City waste entering thetransfer station for disposal.